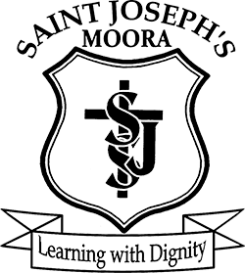 St Joseph’s School is a Catholic primary school established by the Sisters of St Joseph in 1913. Following in their tradition, we at St Joseph’s School believe that we are a community, growing together in harmony and faith in Jesus. We are a co-educational single stream primary school north east of Perth catering for 170 indigenous and non-indigenous students, from Kindergarten to Year 6. Children from outlying areas such as Watheroo, Dandaragan, Bindi Bindi, Miling, Badgingarra, Koojan and Piawanning, travel by bus to school but most school enrolments come from the township of Moora.